It’s a given that owning a startup in Malaysia is the “hipster” thing to do these days (next to being an atheist, of course) and while each startup is focused on changing the world (a cliché, I know), many tend to neglect their responsibility of managing their staff—often their most important asset. In fact, Malaysia is home to over 800,000 SMEs and these SMEs represent about 98.5% of the total number of firms in Malaysia. What’s more is that these numbers are constantly growing—they’re growing at a rate faster than the national GDP average. While these numbers do show growth in the broadest sense of terms, they also allude to the harshest of realities that SMEs tend to remain just the way they are. They rarely grow beyond their initial bubble because of issues that vex their cash flow and human resource management. Before we embark on a never-ending battle of trying to make every single SME successful and efficient, we need to first accept a harsh reality—we can’t save them all. We won’t be able to wipe away a SME’s cash flow issues with the wave of a magic wand—we can only help them manage their resources better—be it cash or staff. 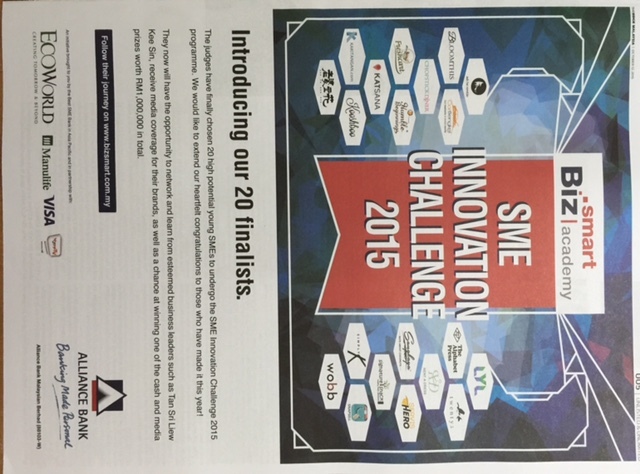 How then do we address the needs of SMEs? Do we prescribe them with doses of expensive and complex HR software that only a large company can afford or build? Effon Khoo seems to disagree. Having had a stint at Microsoft for 5 years where he spent his time leading teams working on products such as Office 2010, Office 365, Microsoft Onenote and Microsoft Lync (now known as Skype for Business), he feels that people are the most valuable asset an SME can have. He then went on to emphasize, “People are your most valuable asset”. After making the move from Microsoft to becoming the GM of a smaller NASDAQ company, he faced difficulty in managing admin and HR processes from the simplest of tasks such as hiring and approving leave applications to designing and recording performance appraisals. Given his curiosity and his background in tech, he went on to launch Kakitangan.com (the Malay word for ‘staff’) early this year. Effon Khoo joined forces with a Malaysian startup legend whose company became the first Asian start-up to be acquired by Facebook, Kenneth Foo; Ken Wang who is responsible for building one of the world’s largest video search indexes for Bing; along with Myro Galavai, a UI/UX developer from Ukraine. He feels that Kakitangan.com would be the platform that helps small companies reduce their paperwork and administrative bottlenecks so that they can focus their efforts on growing the business and keeping the employees engaged. 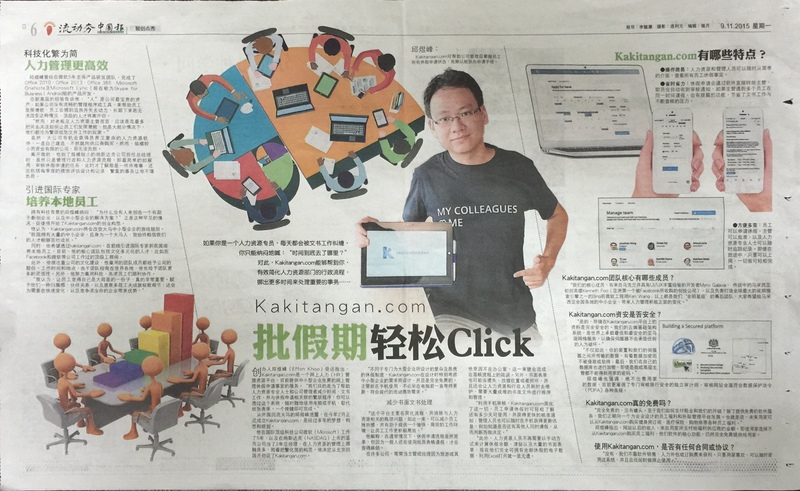 Kakitangan.com is the first free online and mobile Human Resource platform in Malaysia and Singapore that’s looking to help SMEs manage their leave applications among other administration issues in a more simpler and elegant way. 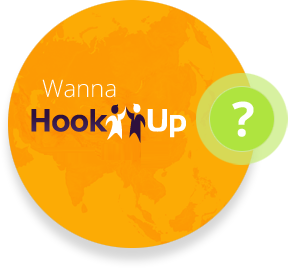 Anyone can sign up for a free account on Kakitangan.com and proceed to manage their employees. Once you sign up for a free account, you’re given access to a dashboard through which you can register your company, manage your employees and your leave policies. Typically all of these processes would have been maintained through a paper-based system. In fact in many companies, supervisors and managers still sign of on each employee’s leave application forms and claims forms, this often causes delays especially when the supervisor or manager is not present in the office. With Kakitangan.com, an SME can simplify each of these processes as employees can easily apply for leave and get it approved quicker while managers can keep tabs on each of their employees and make informed decisions about whether to approve their leave requests from absolutely anywhere. HR departments don’t have manually calculate leave balances and entitlements based on stacks and stacks of paper forms either, they are provided with all the data regarding whose on leave and whose applying for leave, all in one place. The platform is absolutely free and they don’t rely on any administrative or subscription fees to remain profitable either. How then do they keep themselves afloat? 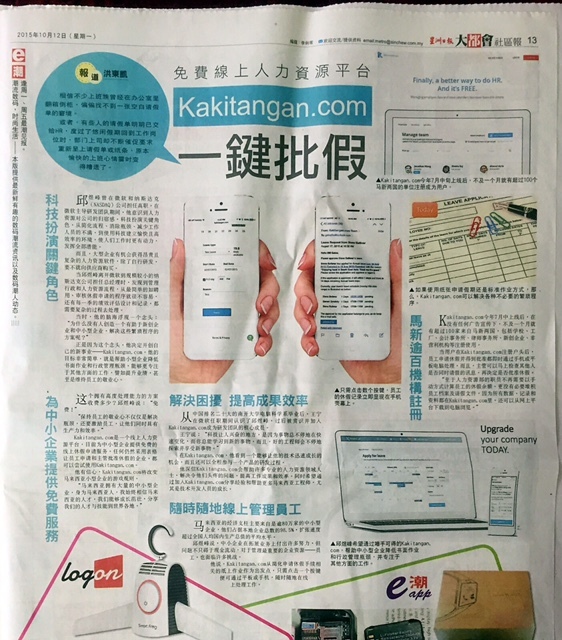 While Kakitangan.com is currently focused on providing free administrative services to its users, it’s aiming to become much more than that in the future. Kakitangan.com aims to become the online hub for companies to purchase staff benefits and perks all the way from gym subscriptions, to insurance, to medical entitlements, to shopping vouchers, so on and so forth. At the point, they will employ a transaction-based model—they will take a chunk of every purchase that you make from the benefit providers. That being said, even if you opt to not purchase any of the benefits, you can continue to use their core features for free. If you anticipate growth both in terms of value and size as an SME, then it doesn’t make sense that you continue to pledge your allegiance to a paper-based system. The reasons for it are quite simple. Although a paper-based system may have provided you with simplicity initially, by allowing you to represent your data any way you’d like both with flexibility and with speed, overtime you’d probably be left with piles of registers, files, legal documents and papers that become increasingly difficult to manage. I don’t have to reiterate the issues of a paper-based system, you already knew that. Comparatively, making the move to a paperless system makes sense. You’re given the option of storing copious amounts of data while being provided with the ability to both process and access the data instantly and at great speed. So the question remains, which piece of software should you implement in your SME? In all honesty, the answer to that question depends on your need. If you need a general piece of software that helps you automate the way you handle your staffing needs, you can simply opt for Kakitangan.com. The platform provides you with enough simplicity and security to speed up the way you manage your employees and their requests for leaves. And it does so at no cost to you at all.